Restaurante La Tunera, currently unfortunately closed. Reiners Pub, food and snacks, open all day. 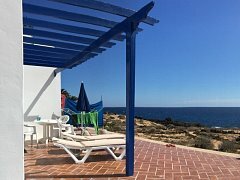 When visiting a restaurant in Charco del Palo, it is customary to be dressed, whereas on the beach you can of course be totally naked and at ease! 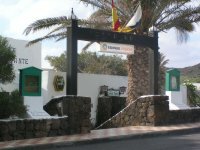 In addition, in the small Centro Comercial you will find a small supermarket. There are further restaurants and bars in the neighboring villages. 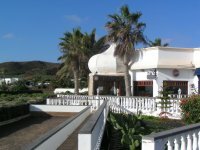 For example, in Guatiza the Tasca de Lita and the Sociedad (Municipal House), and in Arrieta a number of eateries, for example, the Casa de la Playa, located directly on the sandy beach of Arrieta. 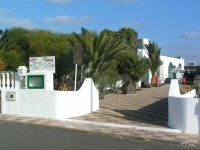 In Arrieta there are mainly restaurants where daily fresh and typical fish from the island gets served.